Intelligence is a raffle. All classes produce their quota of genius, competence, mediocrity and the cognitively impaired. The vast majority are in the middle, encompassing competence and mediocrity. This book is about the mediocre but more particularly the mediocre that are born into the upper and middle classes. The problem is that they need somewhere to go. They would be perfectly able shop assistants, machine minders and telephone sanitizers but such callings do not befit their social status. Their social status demands appropriate rank and place in society. The social order provides them with appropriate rank and place in society; for which they are not competent. These are the drones. 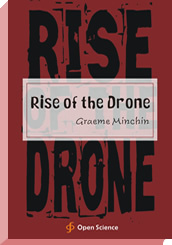 Graeme Minchin is a practicing barrister in Auckland NZ. Academic writings are Buying a Risk: An Ppplication of Insurance Law to Legal Gaming and Sentencing Problem Gamblers. He is currently working on an enquiry into the rule of law tentatively titled: ‘The foundation, evolution and demise of the rule of law as a constitutional convention. Sociologists. Not enormous. General interest.